Ashley Aarti Cooper is a storyteller, Yoga instructor, nature guide, and nonprofit unicorn. She resides in Truckee, CA, leads international yoga retreats, and co-hosts the Restorative Arts and Yoga Festival at Granlibakken Tahoe in Tahoe City, CA. She can be reached at www.sustainableearthyoga.com or on Instagram at @ashley_aarti. The holidays are a special time, filled with family, friends, and loved ones, good food and good cheer. But often during the holidays, we don’t take time for ourselves. It is important over the holidays to not only give to others, but also to indulge in self-care—whether that be taking a few moments in the morning for yoga, spending some time outdoors, or meditating to focus and refresh your mind, body, and spirit. We have all heard the benefits of meditation: decreased stress, anxiety and tension accompanied with feelings of well-being, patience, concentration and compassion. These benefits are easy to grasp conceptually and many of us make ourselves grand promises to start integrating meditation into our daily lives. 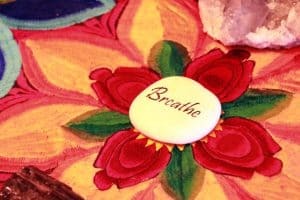 With the best of intentions, we sit down in a silent room and get to “shutting our brain off.” It is not long before our knees start hurting, our to-do lists start screaming and our shut off brain is running on overdrive. The problem is not you or meditation. It is all in the approach. To begin, be easy on yourself. Choose a technique from below or elsewhere that suits you personally, and just challenge yourself to five minutes a few times a week. Meditate in a truly comfortable position-whether you are sitting cross legged, in a comfortable chair, or lying down with pillows supporting you. You can practice at home or, if you do better with group activities, attend a class. 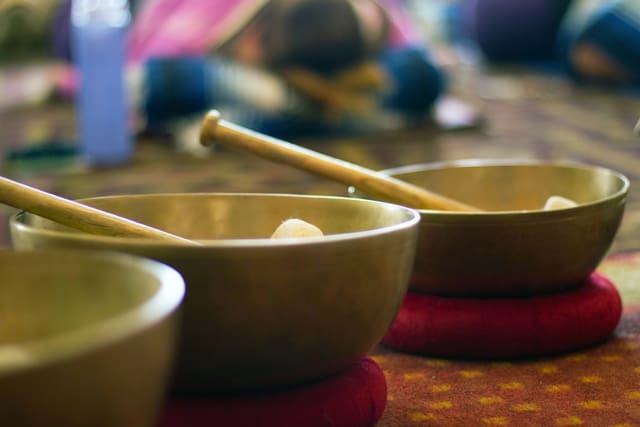 Guided meditations are extremely useful in anchoring you to the present moment by providing structure and sound. If you don’t want to attend a class, there are many excellent free guided meditations on the internet. Visualizations are also extremely useful anchors and can be guided or learned ahead of time. Some people use a mantra (a word, sound, or statement) that is silently repeated or murmured. When using mantras, you can also hold japa mala beads which resemble the Christian rosary: each bead is a single repetition of your mantra.